By Joshua Benton @jbenton Feb. 6, 2019, 12:34 p.m. I noted back in November that the Times would pass $600 million in digital ad and circ revenue for 2018; the extra bump to $709 million came in large part from the Times’ “other” revenue category, which includes affiliate revenue (thanks, Wirecutter) and some digital licensing revenue. 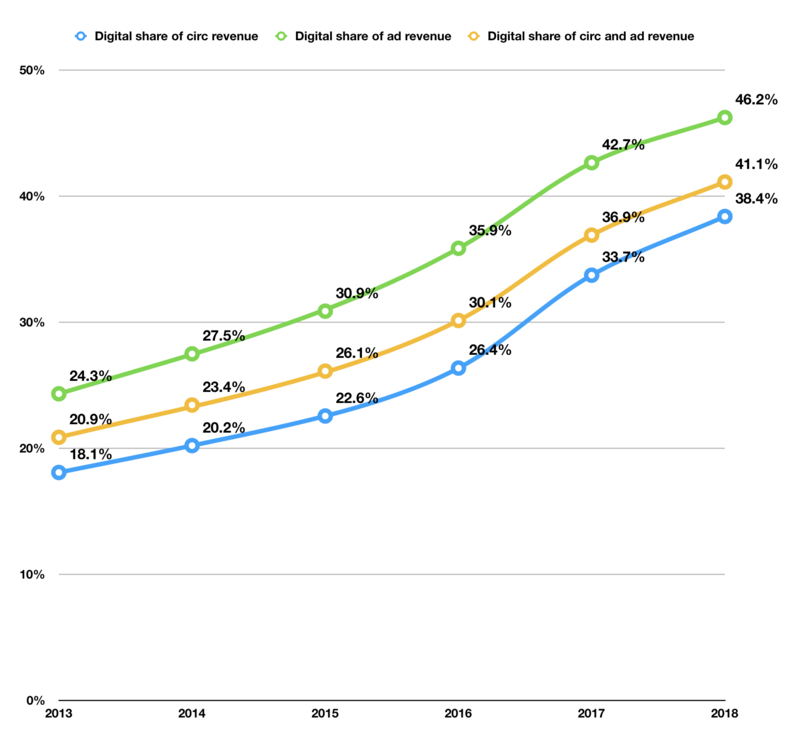 “Other” digital revenue added up to nearly $50 million in 2018. Benton, Joshua. "The New York Times is getting close to becoming a majority-digital company." Nieman Journalism Lab. Nieman Foundation for Journalism at Harvard, 6 Feb. 2019. Web. 20 Apr. 2019. Benton, Joshua. 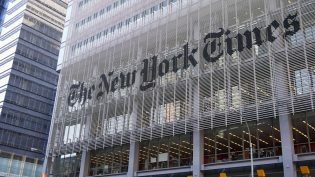 "The New York Times is getting close to becoming a majority-digital company." Nieman Journalism Lab. Last modified February 6, 2019. Accessed April 20, 2019. https://www.niemanlab.org/2019/02/the-new-york-times-is-getting-close-to-becoming-a-majority-digital-company/.